Click here to check availability but contact us to confirm before making definite plans in case there has been a delay in updating the calendar. The availability page shows: Fully booked, ? Places available or blank means no one booked yet. On mobile devices you will need to click on the date to get these details. Phone contact required to book and arrange payment of 50% minimum to confirm. Rodney & Ann Garard have been operating Kiama Charter Service since 1995. “Kostalota” is 12m or 40feet long with plenty of deck room for fishing. 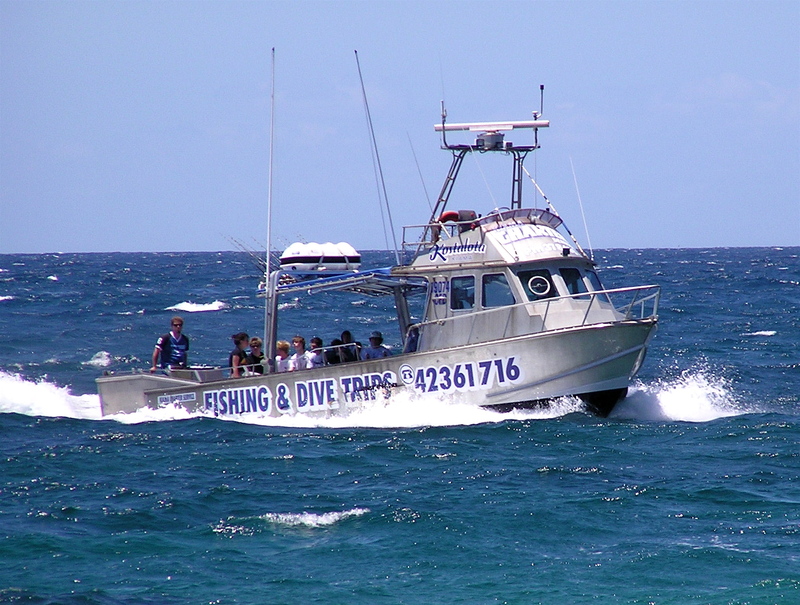 She is licensed by NSW Fisheries and in full NSW survey for passengers. Skipper Rodney has his Masters qualification and he has a deckhand to help with bigger groups. Leaving from Kiama Harbour, the boat is out on the ocean almost immediately and there are reefs quite close by & others further afield. Choose from Reef fishing trips within a 15km radius of port, or Deep Sea fishing at the continental shelf 30 km out. There is no need to have a personal fishing licence. All the fishing tackle and bait is provided, as well as tuition if required. Ann’s famous Anzac biscuits are included with morning tea. Charters are available 7 days a week (except Christmas Day & New Years Day), weather permitting. Your payment is required within 7 days of reserving a date. Immediate payment is necessary for dates within 2 weeks. Refundable or transferable only if we have to call the trip off for a problem our end or, if the skipper thinks the weather will be unsuitable for fishing. Payments will be forfeited if your group is unable to honour the date, for whatever reason. Payable by internet banking, Direct Deposit to our account, Mastercard/Visa over the phone(fee may apply), cheque or money order (clearance required) or cash. Balance payable in full on the day of your charter for all persons booked. Reef fishing is very popular all year round. 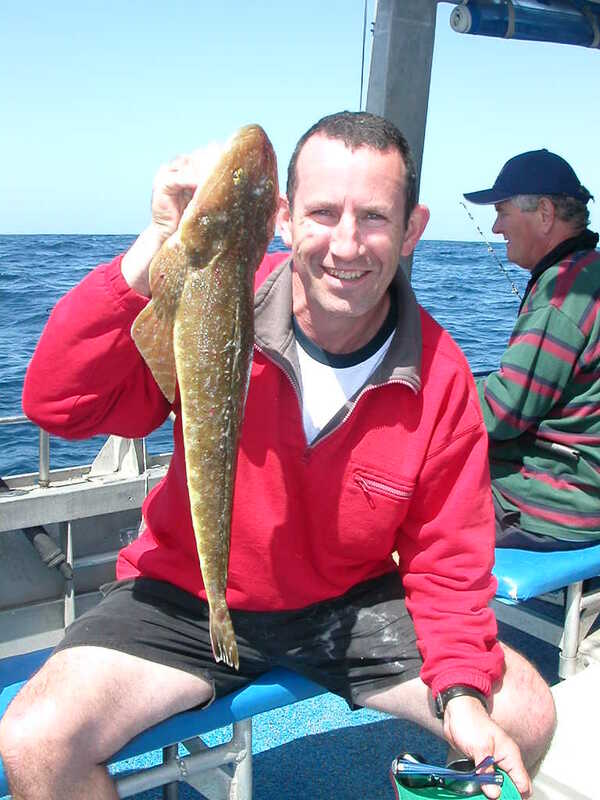 It targets species such as snapper, morwong, leatherjackets, flathead etc and is available for groups up to 10 people. Minimum 4 people or equivalent dollars. Gift vouchers are available for Reef fishing and if unable to make a group of 4 or more must be taken on a mutually agreeable day. 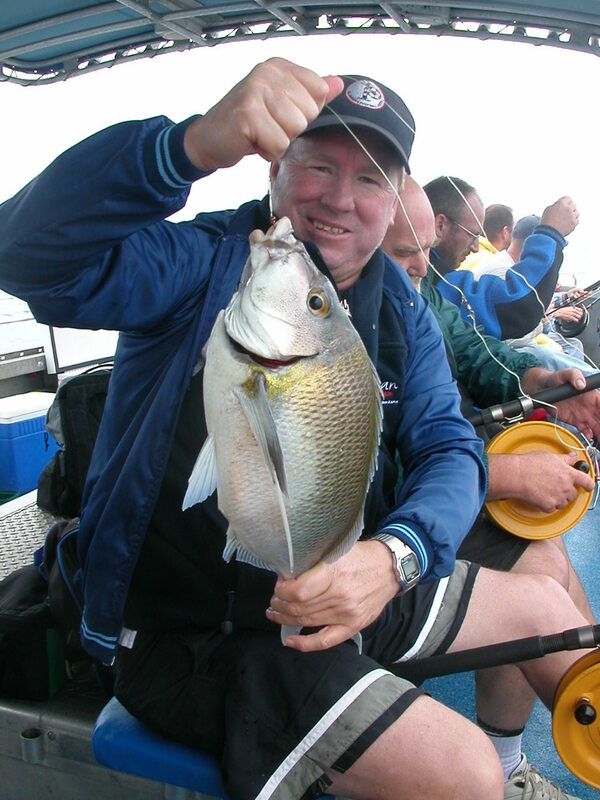 Deep Sea fishing tends to be more a cool season option:- May – Sept. Blue Eye Trevalla, Gemfish and other deep water species can be caught over winter and these trips are more specialised for smaller groups of 6-7 anglers. Boat bookings only, no mixed groups.